Every town has one... a water tower. 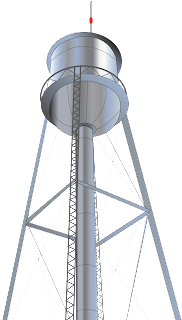 When you live in a rural town, seems just about everyone has some water tower story. In the town I used to live in, an old water tower was used turned on it's side and partially buried as a community storm shelter. What once held water for the entire town, leaked and usually had many inches of water in the bottom. This made for some interesting memories of the town folk as they made their way across the unsecured planks that bridged the murky water at the bottom. 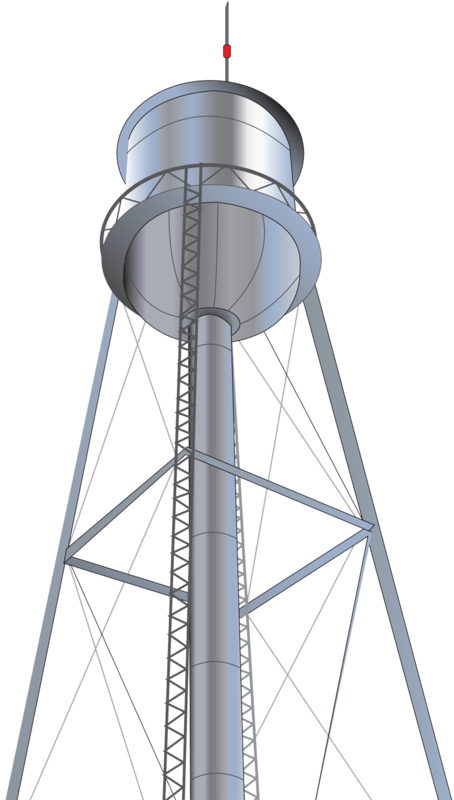 Not really recalling seeing any water tower art, I decided to provide this one for free. Right mouse click to save this quite large image.